Startupbootcamp Fintech held a FastTrack event today in Kuala Lumpur for companies to pitch themselves as potential candidates for the firm’s three-month Singapore accelerator programme in April 2016. The event was held in partnership with Malaysia’s fourth-largest financial services group RHB Bank (the local partner). Next Bank KL was listed as the community partner. “When we first held a FastTrack in Kuala Lumpur nine months ago, we found early stage startups but limited interest from the financial industry. Now we see more traction from finance professionals and investors… [and] more community support [for] events dedicated to fintech and rising startups from Malaysia,” said Startupbootcamp FinTech Global COO Markus Gnirck, in an official statement. The other cities hosting FastTrack events in Asia are Bangalore, Bangkok, Hong Kong, Jakarta, Kuala Lumpur, Manila, Mumbai, Phnom Penh, Seoul, Shanghai, Singapore, Sydney, Taipei and Tokyo. Cardpow is an aggregation website that pools credit card deals into various categories. For example, in the website a user can click on a tab that says ‘travel’ and see that HSBC is offering a ‘Buy 3 get 1 free’ package at the laster tag company Laser Battle. This SaaS service lets users create receipts through their mobile platform. It targets the marketing towards bazaar sellers, event planners and home services, but it’s not hard to imagine the tool being quite useful for a busy HR manager trying to get some work done on the subway. A payment gateway API, Billplz charges RM0.5 (US$0.12) per banking or cash transaction under RM100 (about US$24) or RM2.00 (US$0.47) for over RM100. For credit cards, Billplz charges 4.4 per cent per payment received. A fintech tool for financial institutions that offers services for — among others — social CRM, Big Data management and social QMS (quality management system). This company is automating locks by retrofitting the product onto new or existing electronic latches or swing handles. Finding currency changers in any city can be difficult, and it’s always a question if the person missed out on the best deal. CurrenSeek is trying to solve that problem by developing a mobile app to help people find the best exchange rates in KL. This is a payment gateway for merchants that also advertises itself as a daily payment solution for consumers. Notable companies from the last batch were Toast, which raised SG$1.2 million (over US$850,000) in a seed round in October, and the blockchain company Otonomos. 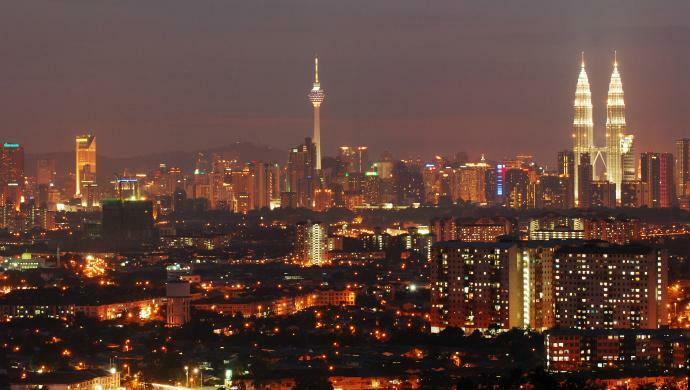 The post Startupbootcamp Fintech lands in KL for FastTrack whistlestop event appeared first on e27.